Want to know more about our graduate program? Here are answers to some questions commonly asked by prospective graduate students. Please refer to the current UCI Catalogue for complete program details and admission requirements. What are the graduate studies degree requirements? How many years is the graduate program? What are the admission requirements and application deadlines? What opportunities are available for me to perform or present work? What fellowships or teaching assistantships are available? 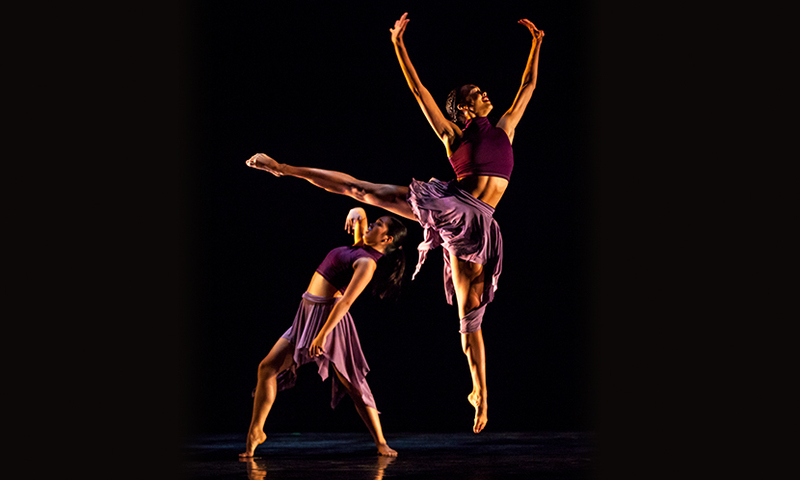 A: The UCI dance department offers a Master of Fine Arts (M.F.A.) in Dance. Q: What are the graduate studies degree requirements? A: Two years of residence are required. Each candidate must enroll for three courses each quarter for six quarters, exclusive of summer sessions. At the end of the first year, students write a proposal stating the intention for the thesis project. Students individually request three members from the full-time faculty to be on the thesis committee. Once the proposal is approved by the department, students may begin work on the thesis. A written thesis with research emphasis (such as dance history, teaching, or dance science). Q: What are the required courses? A: The required courses for the M.F.A. program are: Six courses chosen from any graduate or upper-division dance technique course; Graduate Kinesiology for Dance (Dance 201); Musical Resources (Dance 222); Teaching of Dance Techniques (Dance 225); Dance and Video Technology (Dance 281); two courses in Graduate Choreography (Dance 261); Movement Analysis (Dance 282); Critical Issues in Dance (Dance 283); Bibliography and Research (Dance 284); Thesis (Dance 286); Proseminar in Dance History (Dance 296) or Proseminar in Dance Ethnology (Dance 298). Q: How many years is the graduate program? A: Generally it takes two years to complete the program. Q: What are the admission requirements and application deadlines? A: The deadline for application is January 6th. See Applying to the Graduate Program in Dance for complete information. A: Currently there are about 150 undergraduate students and 20 graduate students in the Dance Department. Q: What opportunities are available for me to perform or present work? A: Students perform in theaters and alternative spaces, including a large dance studio fully equipped with projection, lighting, and sound capabilities, and the Experimental Media Performance Lab, a black box theatre with flexible seating and advanced technology and video capacity. The dance department produces four concerts per year, two of which are choreographed by graduate students.In addition, students present thesis concerts, video projects and other choreography in theaters and alternative spaces. The department also presents an informal showing of choreography at the end of each quarter. Q: What fellowships or teaching assistantships are available? A: See Graduate Program Financial Aid. For questions about the MFA in Dance program, contact the Graduate Advisor, Professor Mary Corey, mecorey@uci.edu. Pictured: Lar Lubovitch's Legend of Ten Part. I, Dance Visions 2017. Photo by Rose Eichenbaum.